Stage and screen actress Loretta Swit is probably best known for her award winning role as Margaret “Hot Lips” Houlihan in the 1970s television series M*A*S*H. Loretta Swit is also a dedicated activist in support of animal welfare, and a painter. 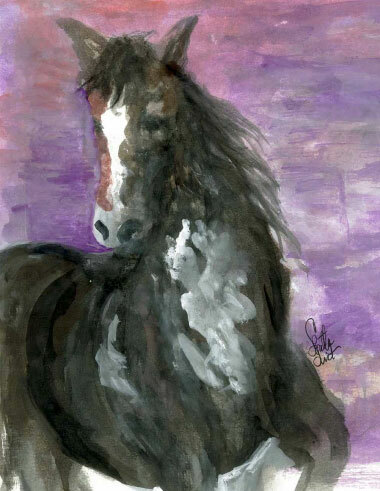 She uses her artwork to raise money for animal charities. 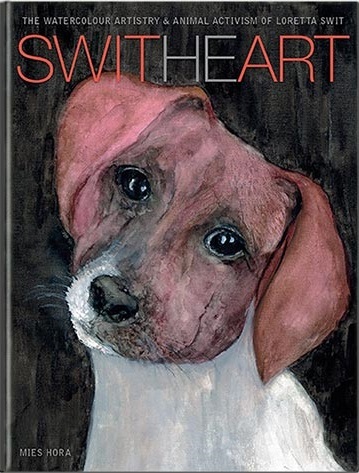 This month, along with graphic designer/author Mies Hora, Swit published a book of of her watercolor paintings called SwitHeart: The Watercolour Artistry & Animal Activism of Loretta Swit. Accorder to the publisher, the hardcover book includes 65 full-color paintings and drawings, as well as anecdotes about each. Proceeds from the book will be donated to organizations that are dedicated to ending animal suffering and cruelty. Most of the images in the book are of Swit’s paintings of animals, although the book also includes an image of Swit’s painting of herself with her M*A*S*H castmates. There are also 22 photographs of Swit with animals. Stupidity! (Laughs) It was a lack of information! I’ve been painting since I had a thought in my head. I was six years old, and I started with watercolor. When I grew into adulthood, all my artist friends would say, “That’s so difficult. Why do you do watercolor?” I answered, “I only knew what I knew!” It was the “bumblebee theory”: I didn’t know that watercolor was the most difficult of the mediums to work in. I just loved it, and I didn’t know any better! So, my ignorance led me to doing watercolors. And now, I view oil or acrylic painting with awe. I can’t do that! In addition to the book, you can also purchase limited edition Giclée prints, posters, and greeting cards of Loretta Swit’s artwork from the book at https://ultimatesymbol.com/SwitHeart. Visit the Pop Life Art homepage for links to many more celebrity painters. This was written by Lorrie. Posted on Sunday, January 29, 2017, at 12:54 pm. Bookmark the permalink.